Windows Terminal Ware. HTTP boot. Plenty of terminals in one network boot from one server. It causes difficulties for TFTP boot when number of terminals is above 300. HTTP works stable with any amount of terminals. Terminals boot by VPN via slow channel with packet loss. TFTP is very demanding protocol. HTTP works more stable on such channels. Even in one network with less than 100 terminals it makes sense to boot by HTTP. HTTP is faster and more stable. TFTP is too trivial protocol, it was designed just to fit BootROM/BIOS. TFTP is highly demanding to network reliability. If packets get lost, large files will be loaded by TFTP very hard. HTTP solves this problem. Terminal boot by network starts from TFTP anyway. Network card BootROM, burned into network card or motherboard BIOS, is able to boot only by TFTP. Two files are downloaded by TFTP: wtware.http (bootx64.efi for UEFI) and wtware.http.cfg. All other files will be loaded by HTTP. In 066 DHCP parameter specify TFTP server IP address as always. In 067 DHCP parameter specify 5.4.24/wtware.http instead of wtware.pxe. Change 5.4.24 to your current WTware version, that terminal boots with. For UEFI computers in 067 DHCP parameter specify 5.4.24/http.efi instead of 5.4.24/bootx64.efi. Instead of 5.4.24 specify WTware version, that terminal boot with. WTware DHCP server autodetermines correct value for Legacy BIOS and UEFI computers. Microsoft DHCP you are to specially configure, so that it could differ Legacy BIOS and UEFI computers, this rather complicated configuration we described in special manual about Microsoft DHCP configuration. If you have just several terminals, it's easier to create reservations for each MAC. When terminal starts, BootROM code, burned into network card or BIOS, takes control. This code requests DHCP. Then it connects to server with IP address, specified in 066 DHCP parameter. It downloads by TFTP from this server file 5.4.24/wtware.http and transfers control to this file. File 5.4.24/wtware.http contains loader iPXE, more complicated, than in your terminal BootROM or BIOS. It loades by TFTP it's configuration file 5.4.24/wtware.http.cfg. Then it downloads by HTTP WTware files. URLs of these files are specified in wtware.http.cfg. When terminal starts UEFI code, burned into motherboard BIOS, takes control. This code requests DHCP. 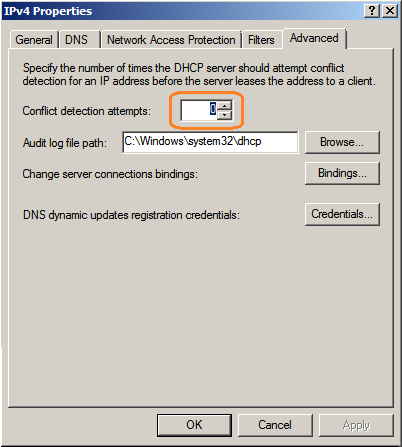 Then it connects to server with IP address, specified in 066 DHCP parameter. It downloads by TFTP from this server file 5.4.24/http.efi and transfers control to this file. UEFI is rather new technology. UEFI BIOS can download and run WTware start file 5.4.24/http.efi. This file size is about 4 megabytes including Linux kernel and network cards drivers. There's no need in additional loader for UEFI BIOS. WTware starts, downloads from TFTP 5.4.24/wtware.http.cfg configuration file and continues to download necessary files by HTTP, using HTTP-server address, port and paths, specified in wtware.http.cfg. mklink /D "C:\place-of-IIS-root\wtware" "C:\Program Files (x86)\WTware\TFTPDROOT"
Clearer way: install FAR, press Alt-F6. In WTware packages directory there are many files without extensions. Microsoft IIS may reject sending files with no extensions. You can use "." (a dot) as extension and create a MIME mapping. HTTP-server IP-address is the same as TFTP-server IP-address. http://HTTP-server-IP-address/wtware/ is the link to TFTP root, i.e. http://HTTP-server-IP-address/wtware/Everyone/all.wtc and http://HTTP-server-IP-address/wtware/5.4.24/packages/alsa are correct paths to corresponding files from WTware distributive. If your paths differ from these or HTTP-server and TFTP-server have different IP-addresses, you are to tell terminal about it. You are to edit wtware.http.cfg. Example of wtware.http.cfg file, when HTTP-server IP-address differs from TFTP-server IP-address. Change 5.8.50 version to your current WTware version. Example of wtware.http.cfg file, when HTTP-server and TFTP-server have different IP-addresses, instead of digital IP-address HTTP-server domain name is specified, and your path to distributive is not our recommended path.